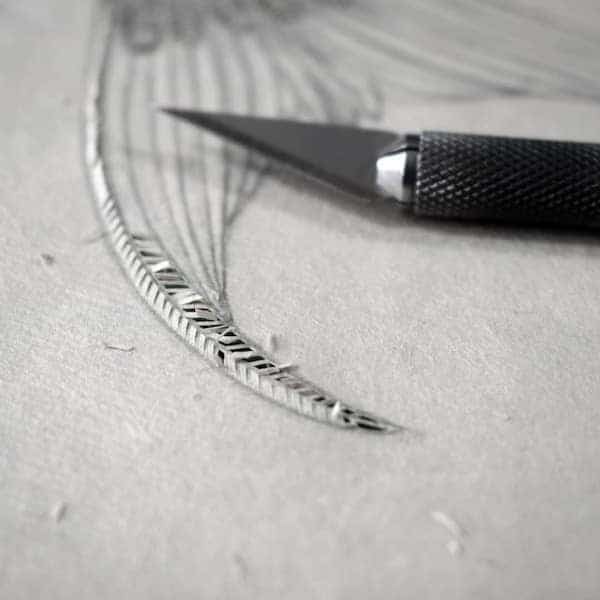 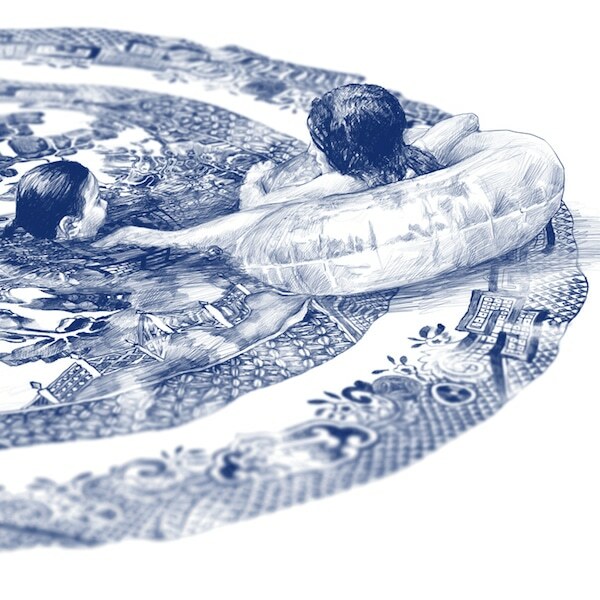 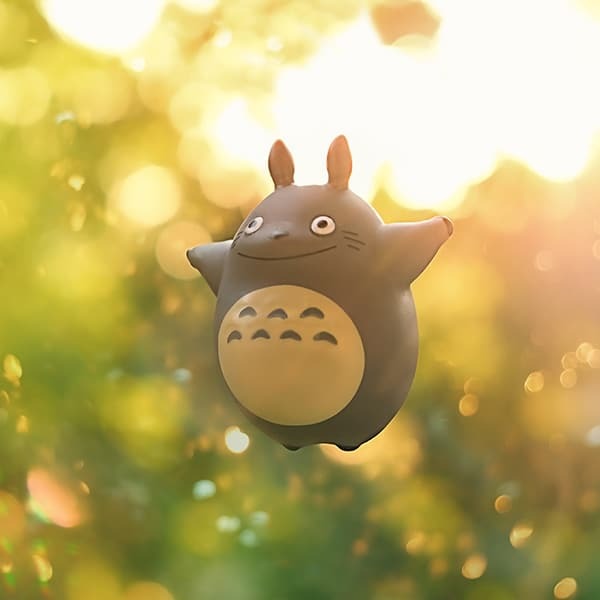 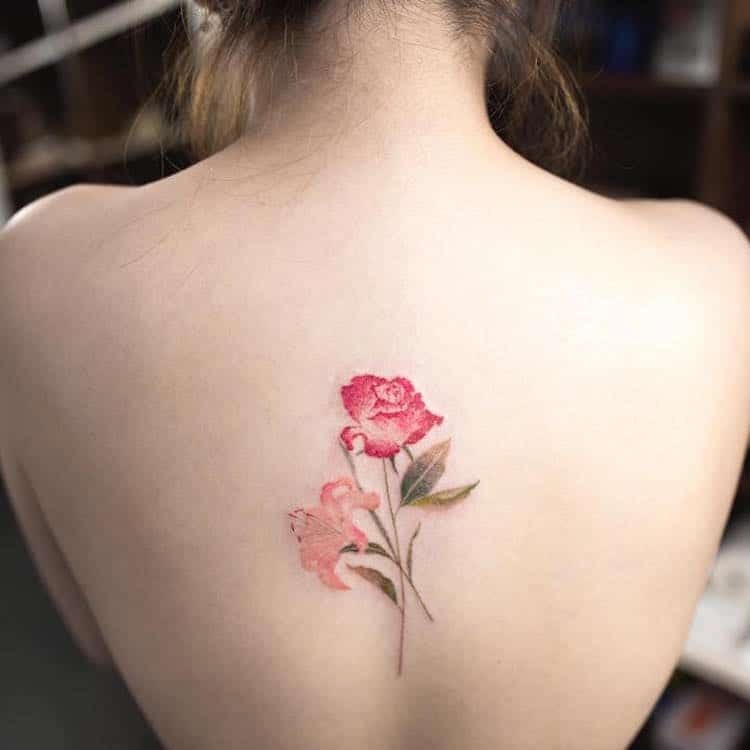 Mini Lau, a tattoo artist who calls Hong Kong home, creates light and airy works of art. 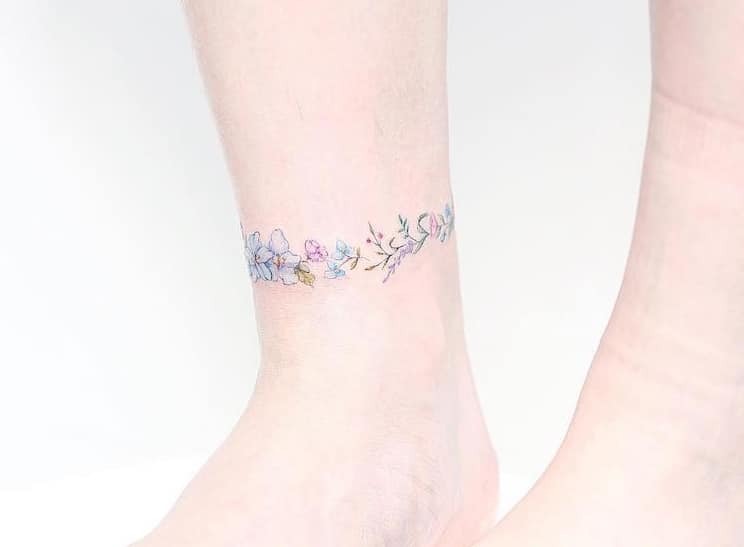 Each dainty floral drawing is rendered in candy-colored tones characteristic of the Korean style, a genre renowned for its tiny tattoos featuring pastel-like shading. 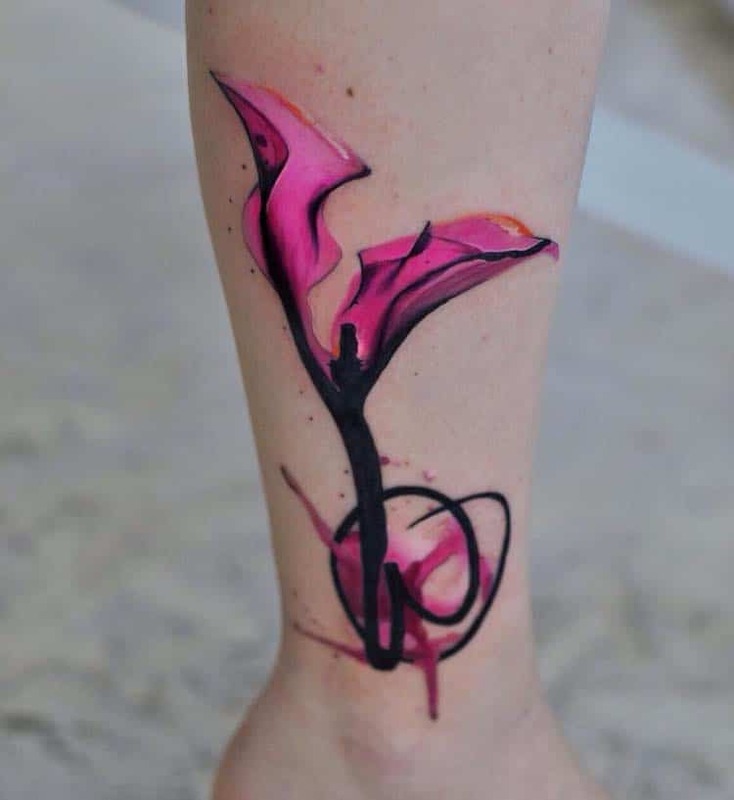 Ukrainian artist Aleksandra Katsan is known for her illustrative, watercolor tattoos. 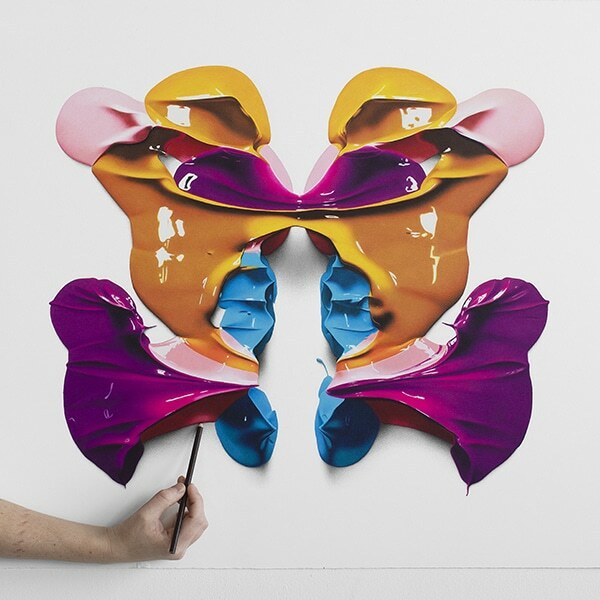 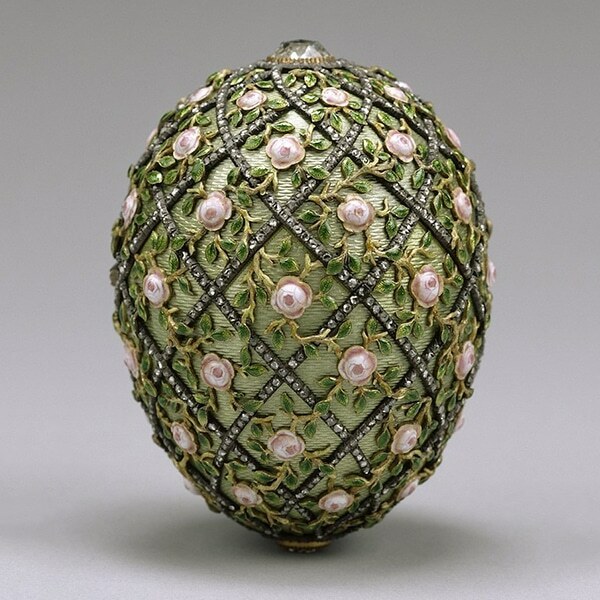 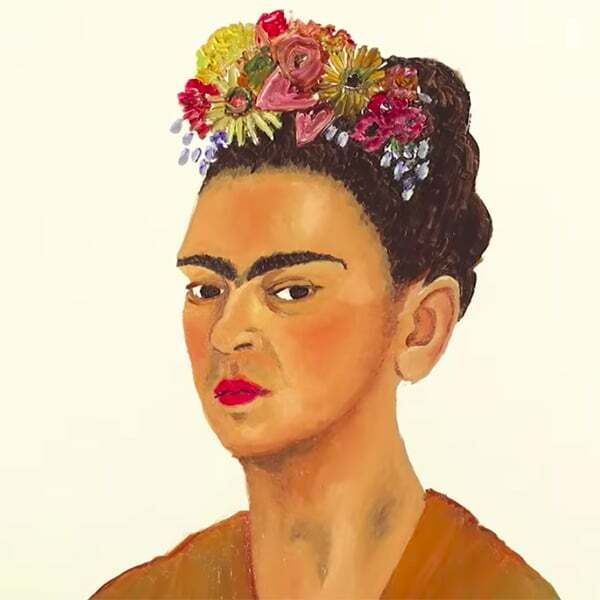 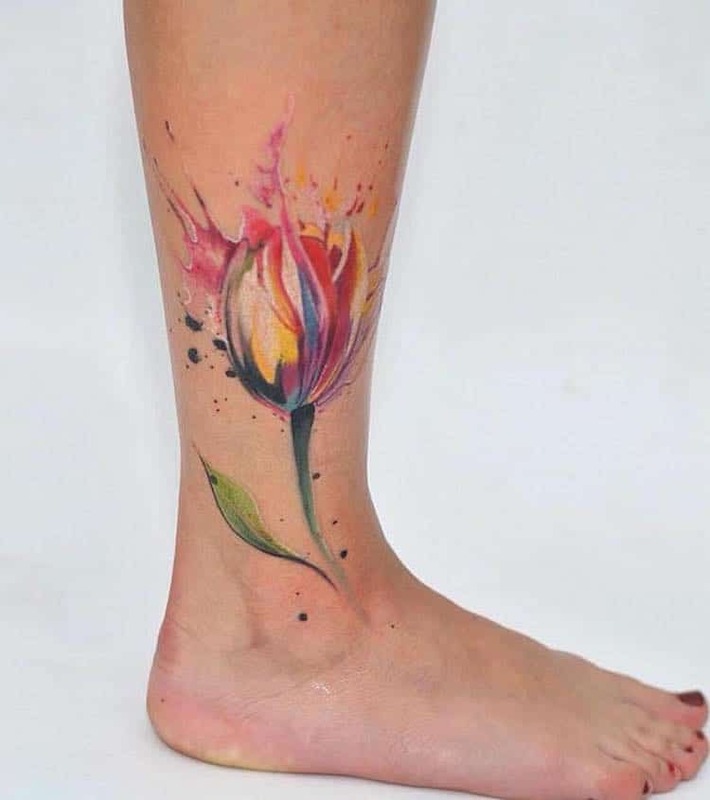 Rendered in bright colors—namely, spring-like shades of pink and green—offset by splashes and splatters of black pigment, her flowery pieces appear to”pop” from the skin. 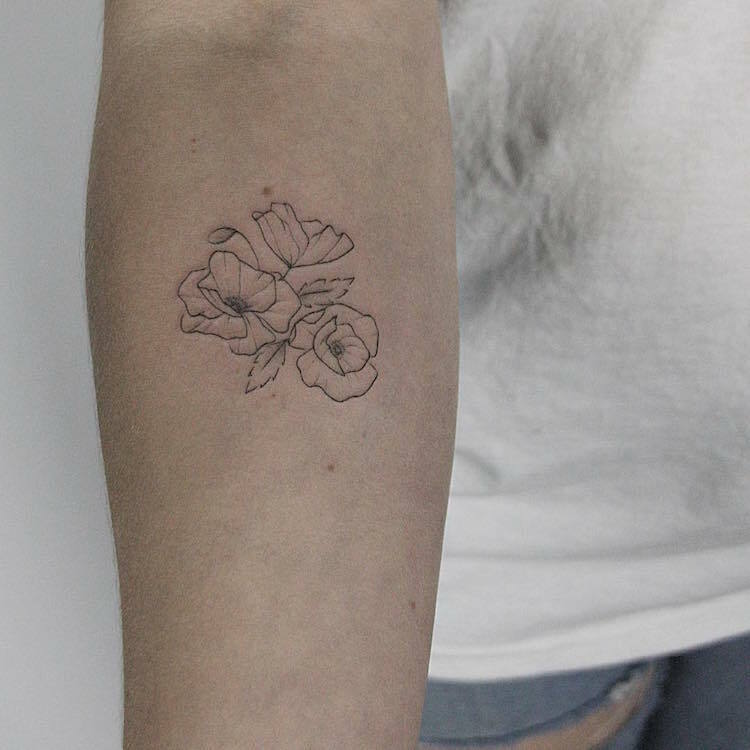 Toronto-based tattoo artist Lindsay Asselstine (also known as Lindsay April) specializes in pencil-like portrayals of flowers and foliage. 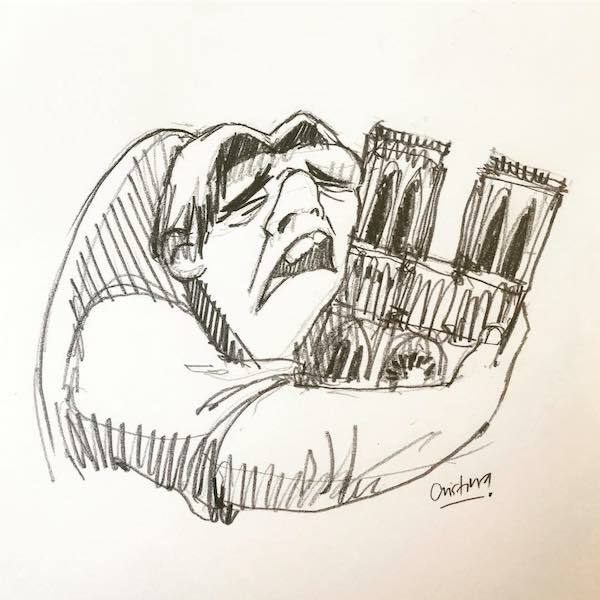 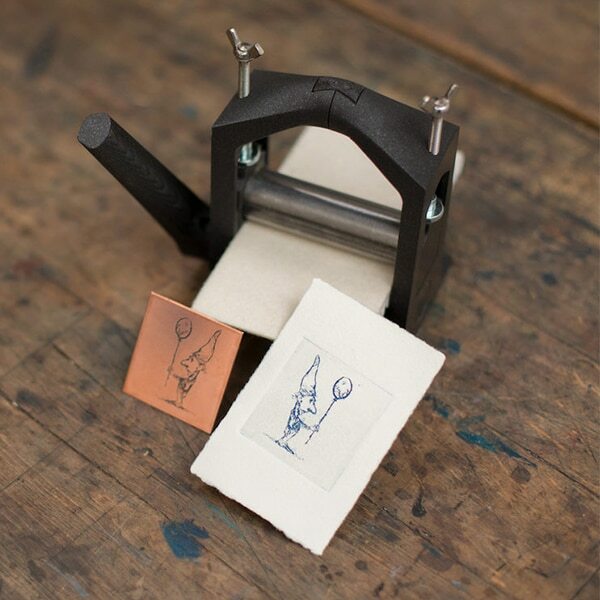 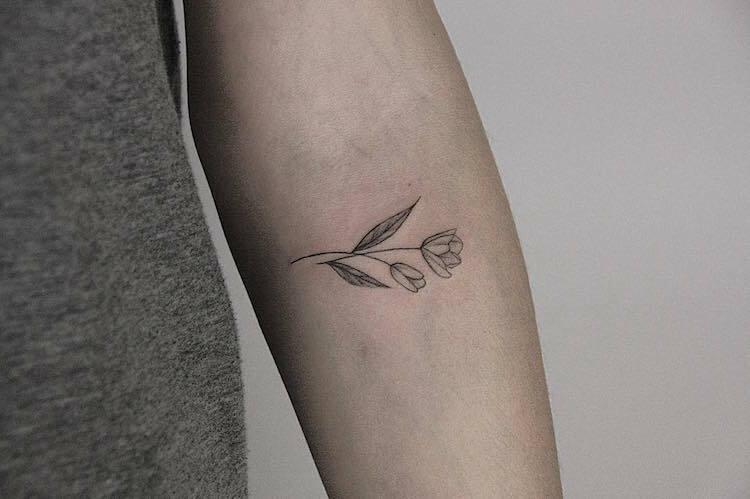 Small in scale and highly minimalist, each sketch-inspired depiction is made up of elegantly traced fine lines—an aesthetic unsurprisingly influenced by Asselstine’s background in traditional studio art. 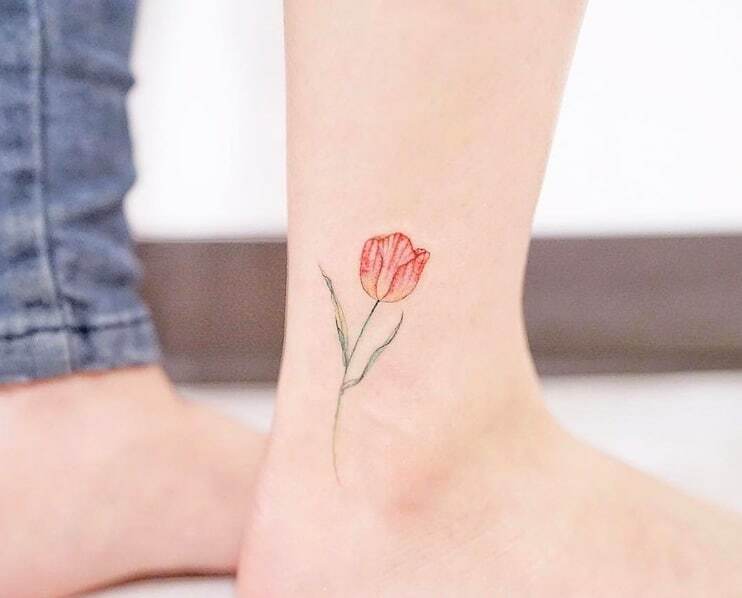 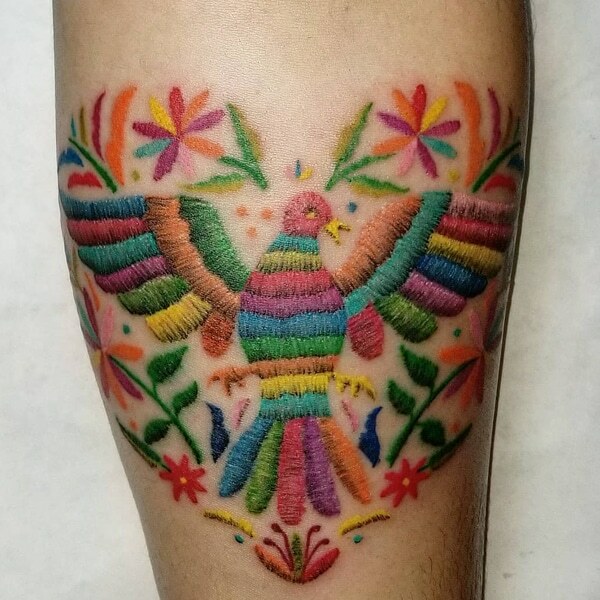 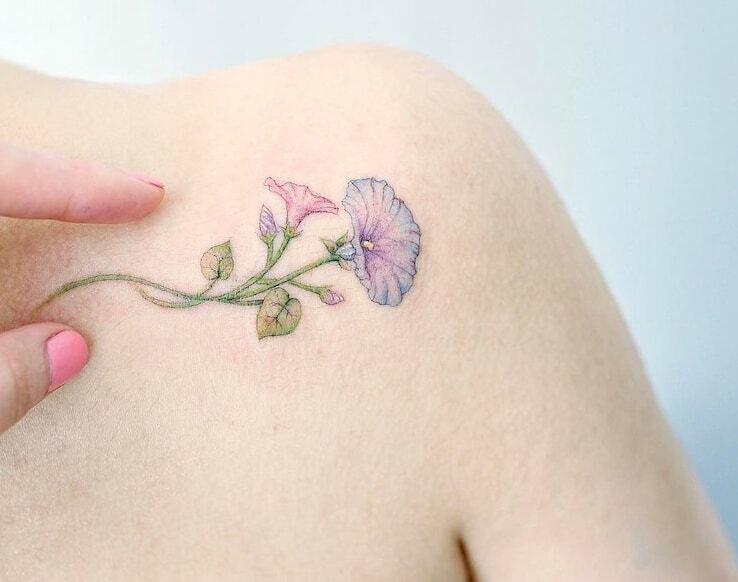 Like many floral tattoo artists, Korean creative Hongdam has embraced the watercolor trend. 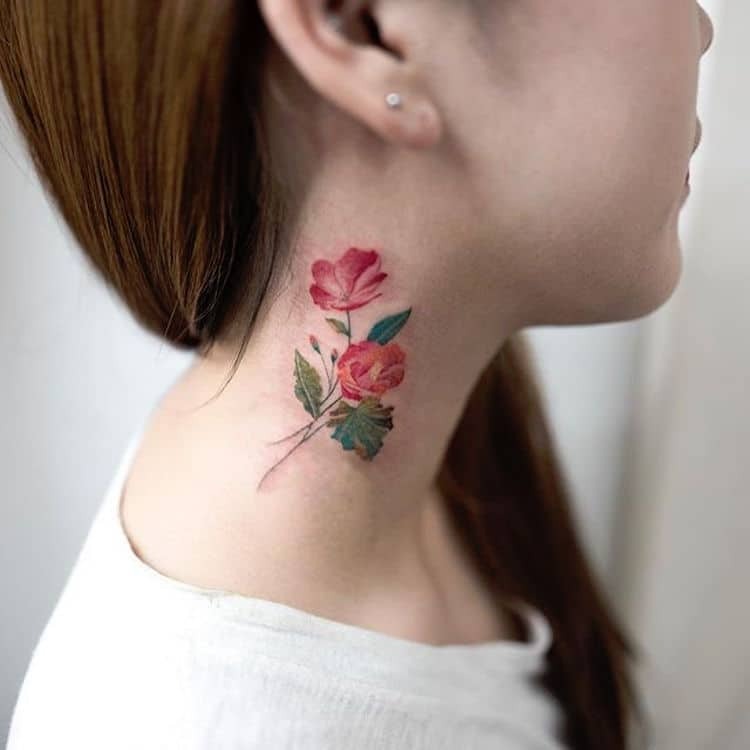 Relatively realistic in design, his ethereal works of art exquisitely capture the fragile nature of blooms and blossoms. 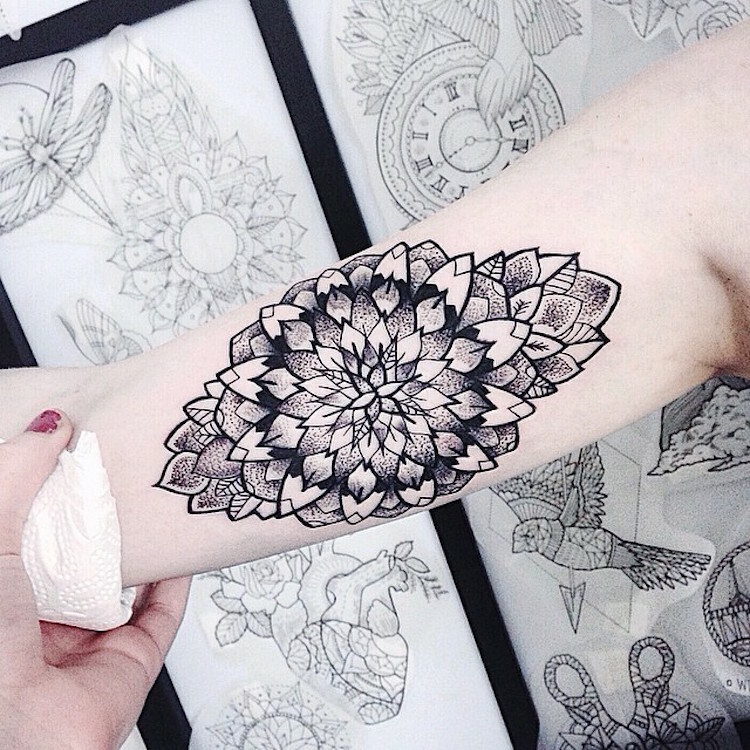 The mandala-inspired, pointillist portfolio of German artist Jessica Svartvit showcases her unique approach to the traditional floral motif. 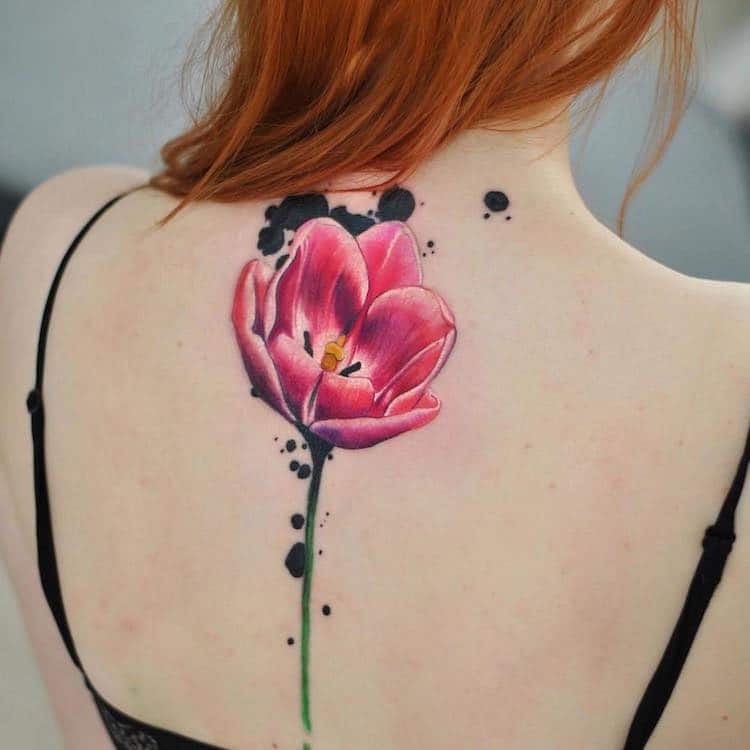 Tiny dots comprise each creation, which often feature lotuses and other flowers with numerous petals, and black ink is Svartvit’s preferred pigment of choice. 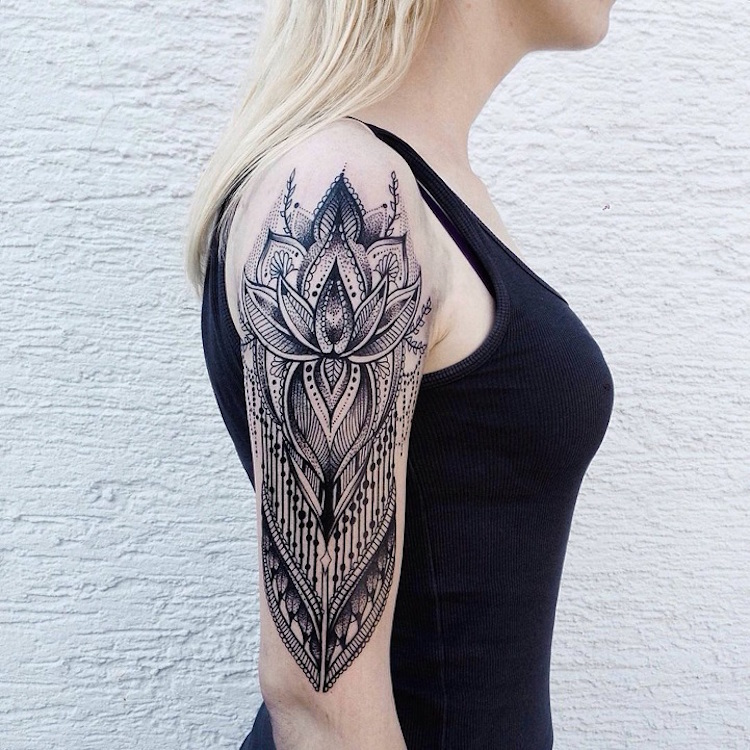 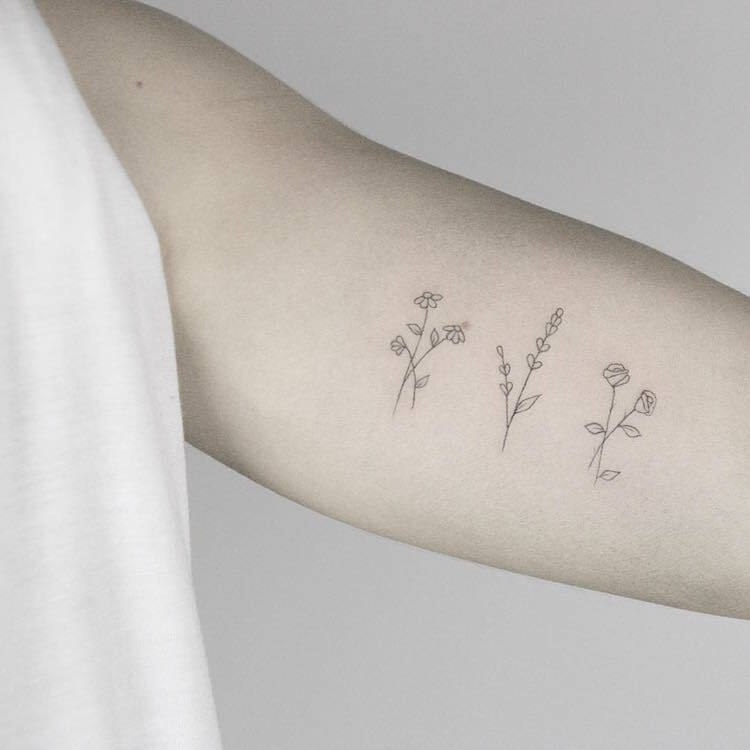 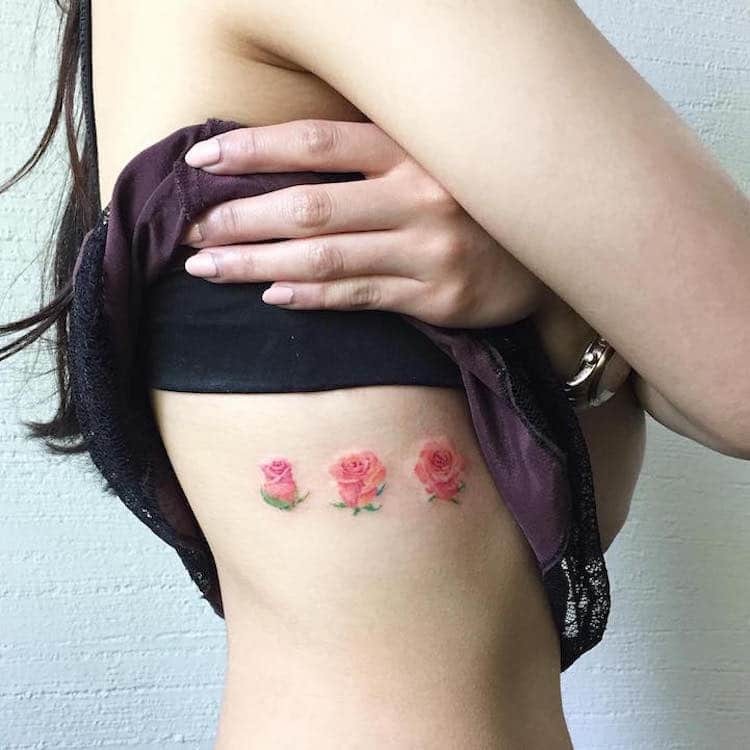 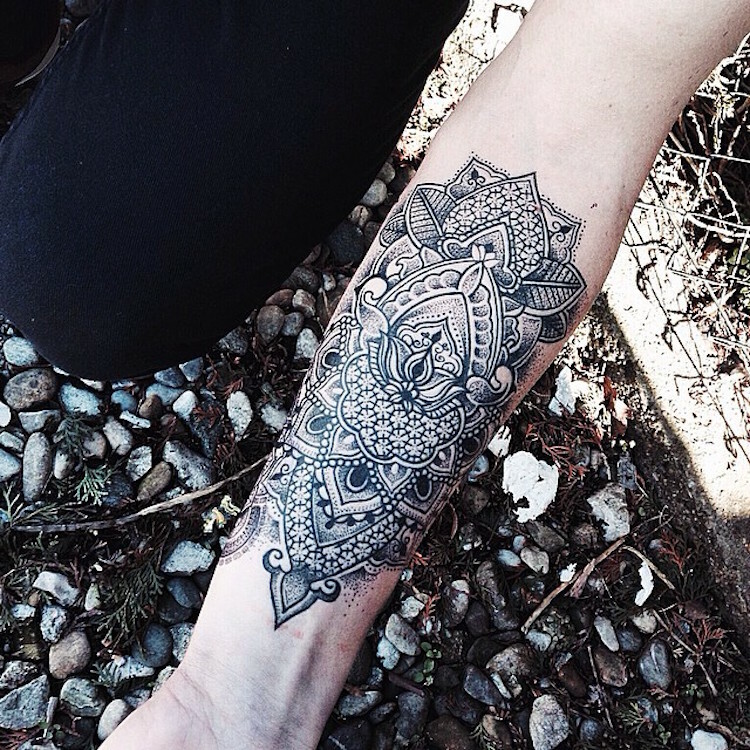 Would you flaunt any of these floral tattoos?